Manufacturer of Chamfering Tools. Our product range also comprises of PP Socket Fusion, Piping Grid and PP Chemical Tanks. Supported with rich industry experience, we are engaged in offering Chamfering Tools. These tools are manufactured as per the guidelines provided by our team of skilled professionals by making use of quality approved raw materials with the aid of modern machinery as per market norms. 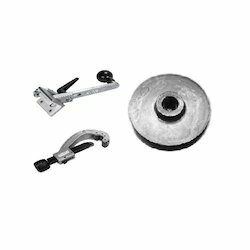 Tested as per the industrial standards, these tools are resistant to corrosion and rust. Offered tools are highly reckoned due to their precise dimensions and robustness.